We’re all familiar with the concept of bleaching, whether it’s done at the dentist or with a store-bought whitening kit. We’re less familiar with tooth-coloured restoration. This is a cosmetic treatment that is ideal for repairing a single tooth rather than a whole set, though you can also restore multiple teeth in one go. Tooth-coloured restoration uses the principle that natural tooth colour varies from porcelain white to ivory, and this isn’t necessarily a bad thing. It works with what you already have to boost your confidence and improve the quality of your smile. It’s a relatively quick, tailored, low-fuss treatment that can fix your smile faster than other alternatives. Most whitening treatments are chemical in nature. They work by lightening the shade of your teeth. Other methods are mechanical. For example, some dentists treat fluorosis by filing off the stains, though they have to be very careful not to expose the inner portions of your tooth. Restorations take the opposite approach. Instead of subtracting stained material, it adds something on. Your dentist will use a detailed colour chart to find a shade as close as possible to your natural tone, then create kind of filling or plastic crown and place it in top of your tooth. The bond between your tooth and the restored layer is permanent and seamless, so no one will see the point of adhesion. However, if you don’t take good care of your restored teeth, they can still get re-stained, so you should still brush, floss, and see a dentist twice a year. You might assume that brightening your smile is the only benefit of tooth-coloured restoration, but it can do a lot more. Because your dentist is essentially placing a layer over your original tooth, s/he can mask lots of other imperfections in the process. For example, if your enamel has eroded, exposing the darker dentin below, then your restoration will offer a protective coating that replaces your lost enamel. Similarly, if your tooth has a crack, chip, broken section, or some other form of surface damage, the restoration will cover it up, changing the shape of your teeth completely, and adding extra sparkle to both your smile and your eyes, thanks to improved confidence levels. And it looks way more sophisticated that gold or platinum bling. The effects from whitening your teeth can look really drastic, and sometimes the result is unnerving and unnatural. If you have one or two fillings, the effect will be more jarring, because crowns and fillings don’t respond to whitening. So when you smile, you’ll have gleaming white teeth with or two off-coloured ones that may dampen the beauty of your smile. That’s why you need guidance from your dentist. 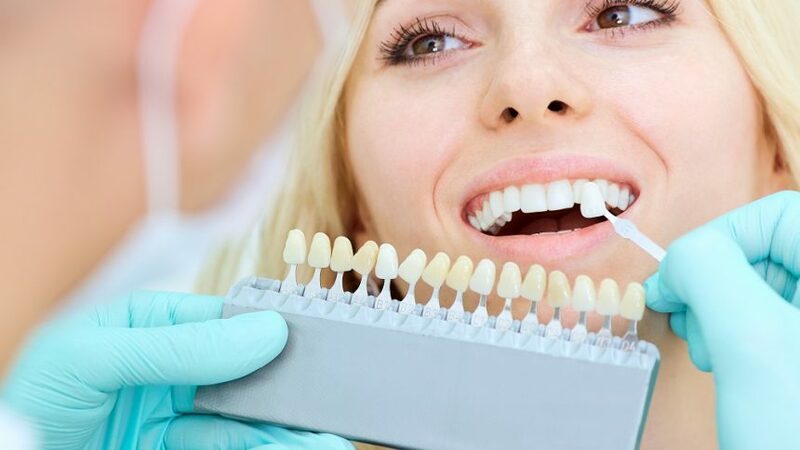 If you have some crowns or fillings, it may be a wiser choice to use tooth-coloured restorations to match the rest of your teeth to the shade of your filling. It will give you a prettier result than whitening, especially if your prior fillings are on your visible front teeth. Restorations are also less invasive than whitening, so it takes a shorter duration, requires less recovery time, is a simpler procedure, and is much kinder on your pocket. Tooth-coloured restorations don’t need special maintenance. You should brush and floss just like your regular teeth, and you can ask your dentist to inspect them during check-ups. You don’t have to retouch them for a decade, maybe more depending on how well you take care of your teeth. They can be affected by grinding, misalignment, or biting hard candy, so talk to your dentist about necessary precautions. Tooth bonding uses composite plastic coating, which is way more affordable than porcelain veneers. However, unlike veneers’ tooth-coloured restoration can be stained by coffee, tea, tobacco, or red wine, so use your chosen poison with care, and if you’re not changing your habits, consider using a brightening toothpaste, specially designed for drinkers and smokers.